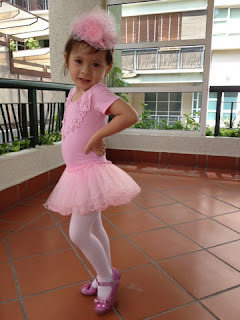 For parents who have young daughters, perhaps you are like me -- having this little dream that your daughter can wear a beautiful pink tutu and float around like a ballerina. Well, that dream came true for me when I found the right place to bring my daughter to. It was serendipity really that brought me to the right place. As an expatriate, I didn't know exactly where to look for a proper ballerina school for my daughter. I tried to bring her to Caterpillar (at Sri Hartamas, website HERE) when she was 2.5 years old, but I was disappointed. Why? Because she couldn't follow all the dance steps and probably had shorter attention span back then. 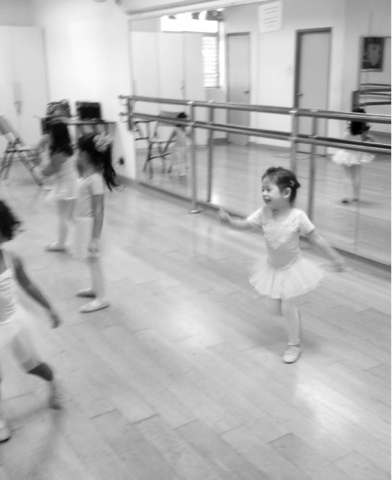 She did some of the exercises and dance steps that the teacher was doing, but I wouldn't say that she could follow all of it. So we gave up on that and waited... Now at 3 years old, they can do most of the things the teacher asked for -- which was a joy to watch! I found out about Caterpillar School through my neighbor. And I also found out about the wonderful Dance Steps studio through another neighbor of mine (she is in fact the owner!!!!). It helps to chat with parents with daughters as you tend to discover a lot of things! Dancesteps studio (website HERE) has been around for a while -- and I didn't know about it. Perhaps the Malaysian community is more familiar and I did see a lot of locals sending their daughters there. 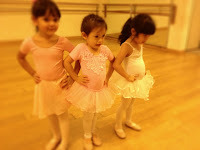 I saw especially many Malay families with their cute little girls in tutu's. There is also a big number of expats, a handful of Indians and Chinese girls who I would often see in the studio. 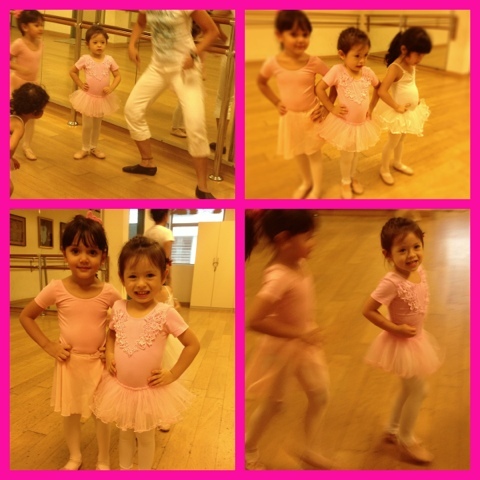 It is a real ballerina school where your daughter can learn the proper steps. As compared to Caterpillar, in my humble opinion, the Sri Hartamas school is more of play fun and non-serious type. Also, there were less students and the enjoyment of watching so many cuties in pink tutu's was just not there. Don't worry if you daughter does not have the right ballerina dress or shoes. DanceSteps studio is selling the dress and shoes at their top floor. Just go there to make the purchase. I bought the shoes there, while the dresses were sourced elsewhere. In fact, when my daughter did her 1st trial class, she danced without shoes on! We just wanted to see if she could follow the others, and to see if she is really, truly interested. However I must warn you that Dancesteps is so popular, I am not sure if you can get a slot immediately depending on the age and class you want to get into. The fees are affordable and I would say they are not charging too high. 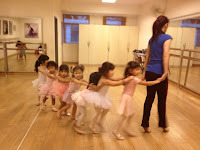 In fact it is comparable to Caterpillar school, which was surprising because Dancesteps is a huge 3-story school while Caterpillar is so small and tucked into a shop lot in Hartamas area. Each have their own advantages -- so it is up to you to decide. Both schools are very near Mont Kiara, so those who live around this area will find it easy and accessible. 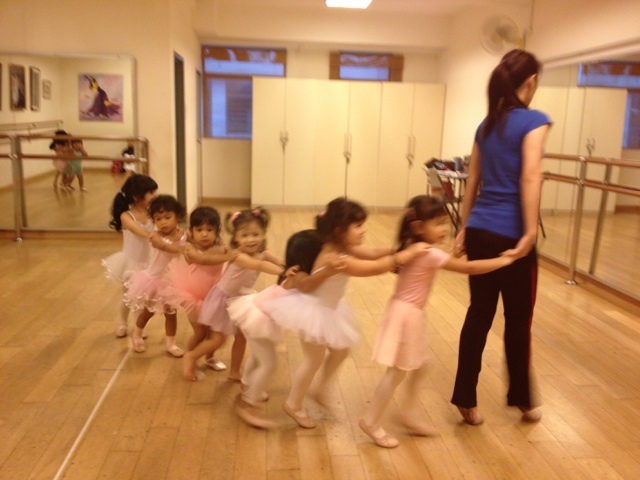 To give you an idea of how much you need to fork out -- RM100 per month for 4 classes in DanceSteps Studio. In Caterpillar, if I remember correctly they were charging me RM130 per month. Well, as long as your little one is enjoying and learning -- that is what's important. Note: parking is super duper easy. There is always ample parking at the parking lot of Solaris. You turn right into the parking area after Cold Storage. They only charge RM1 which is reasonable. That way, no headache especially if you will come for weekly classes. HI, I can't seems to get into Caterpillar's website. Do you have their contact details.